I’m sharing a guest post by Diana Valle, a Camino friend that I see at NorCal pilgrim events. This article was published in the December issue of APOC’s La Concha Newsletter, but unfortunately the continuation wasn’t included. Here is the full article, complete with a handy Weed vs. Way comparison chart at the end. Enjoy! Some 80 or so Northern California pilgrims got together at a welcome home potluck recently and, as we shared food and wine, we talked all things Camino; future pilgrims asked questions, experienced pilgrims gave their opinions, and the new returnees took turns sharing their Camino stories. It was after hearing these stories that I realized the Camino really is a lot like marijuana. Only legal. This realization first started to dawn on me when a friend and I agreed that, after listening to the pilgrims who answered the call of the Way after the death of a loved one, every other story sounded, well, recreational; the immediate follow-up was an epiphany: there are only two types of pilgrimages: recreational and medicinal. Just like with the legal uses of the aforementioned herb in some states and DC; both are valid, and each fulfills a different need. By my definition, medicinal pilgrimages are those journeys taken in the hope of healing emotional and/or physical maladies. Walking for the cure takes a very literal meaning. The pilgrimage becomes a way of finding acceptance after a debilitating loss – typically, the loss of a loved one, or to find one’s footing after life has inflicted one too many blows. Pilgrims on a medicinal pilgrimage will cry at times. Their journey can be mostly inward. They will struggle and overcome every obstacle, sometimes reaching dangerous levels of single-mindedness. Their goal is not to explore Spain or France or Portugal on foot, but to find a way of moving forward with their lives. Reaching Santiago or Finisterre may become the end-all, be-all goal – a promise of sorts that everything will be fine. At best, a celebration of the lives of those they’ve lost. Recreational pilgrims endure no less physical hardships than their medicinal brethren, but their approach towards the Camino is one of discovery, wonder, joy. It is the outward view of the traveler who rejoices in the new vistas, smells and flavors. They are also looking for answers, but their emotional toll will be less. They are open to new experiences and are willing to adjust as needed, after all, it’s still an adventure; their consciousness will more than likely be enhanced. Recreational pilgrims can take several trips to reach Santiago and that’s part of the plan. For some, Santiago itself is optional; the journey itself is the destination. Because they really are experiencing very different things, it can be hard for the two types of pilgrims to relate to one another at times: someone on a recreational pilgrimage may struggle to understand why a fellow pilgrim doesn’t seem to be willing to stop and enjoy the view, the coffee, the wine, but instead presses on, even with injuries. A pilgrim on a medicinal pilgrimage will probably have difficulty relating to pilgrims who follow Brierley’s suggestions of side trips. Someone about to embark on a medicinal pilgrimage may ask questions about gear, training and all the practical details, but won’t concentrate as much on the “must see/must do” suggestions. 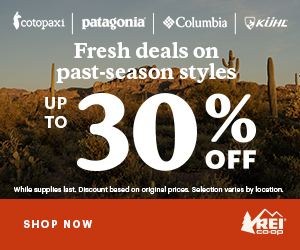 A recreational pilgrim will want to know all there is, and see and do everything! A medicinal pilgrim may embrace the recreational aspects once the affliction has passed. And, conversely, for a recreational pilgrim, the Camino will call loudly in times of emotional turmoil, crucial cross-roads, or personal tragedy. 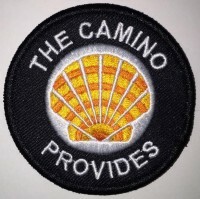 Like pot, and this should not news to any member of APOC, the Camino can be highly addictive to certain personality types (you know who you are, and you have the Compostelas to prove it). And, again, just like with weed, once you try it, you want to share it with your friends and family, because it really is awesome, and you know they will like it. And also, because if they go, you’ll have that extra connection. Oh, and did I mention the munchies? In case you wonder, I classify Tom and Sarah as medicinal pilgrims, and Joost from Amsterdam and Jack from Ireland as recreational pilgrims – even though Jack would probably disagree. To wrap up, here is a brief chart of Pot to Camino equivalencies, please feel free to add your own. I thank Diana for this entertaining perspective. Now some of my friends and family will finally understand the appeal of the Camino! We welcome your thoughts and additions to the chart in the comments below.